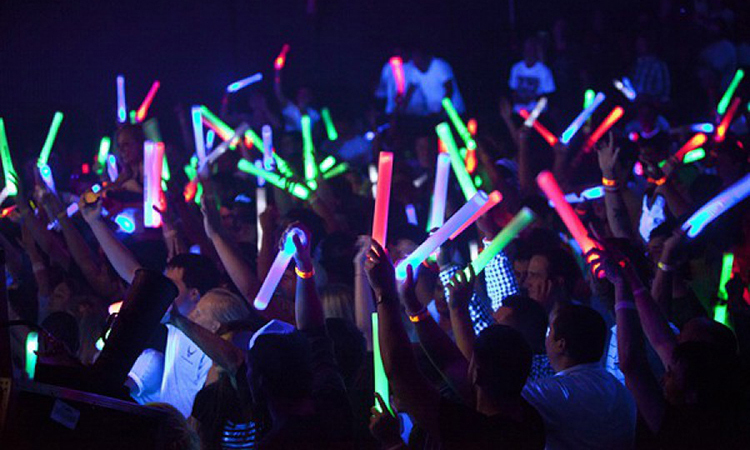 Get ready to show your spirit with the super bright LED Lights Stick! 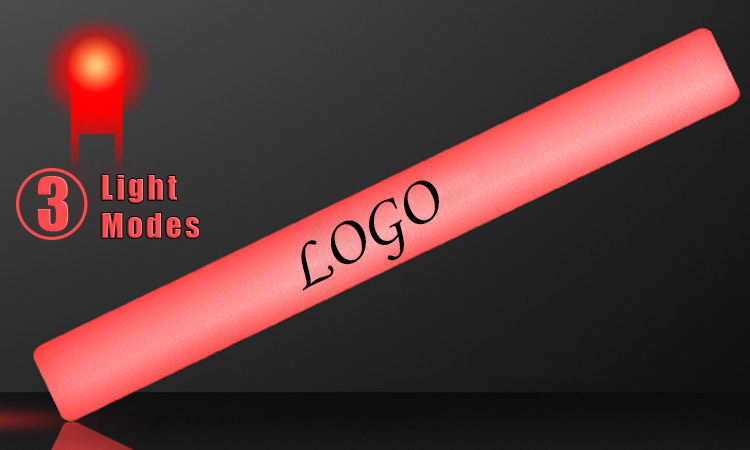 This baton works great at concerts, bars, clubs, dances, and parades, and any glow sporting event. You can see it 10 times brighter than any glow stick and it is super soft to the touch. 6 modes of LED blinking and fading solid colors and a hyperactive flash of all colors at once. Hyper-flash RGB, slow fade RGB, steady pink, blink red, blink green, and blink blue.The moment these LED Lights Stick hit your event everyone’s going crazy! We will be sure to illuminate the crowd at your next event with a party prop people love! LED Lights Stick come in a wide range of colors, sizes, and patterns.Hand LED Foam Stick out to the crowd at the town parade or a rock concert, stock up for your kids’ next sporting event, or hand them out on Halloween to keep the trick-or-treater’s safe as they’re running from house to house. These LED Lights Stick is divided into three types: Normal on/off button, Toggle switch, Sound activated. The normal size is 40*4.5cm. Customized size is available. Imprint your logo is available. 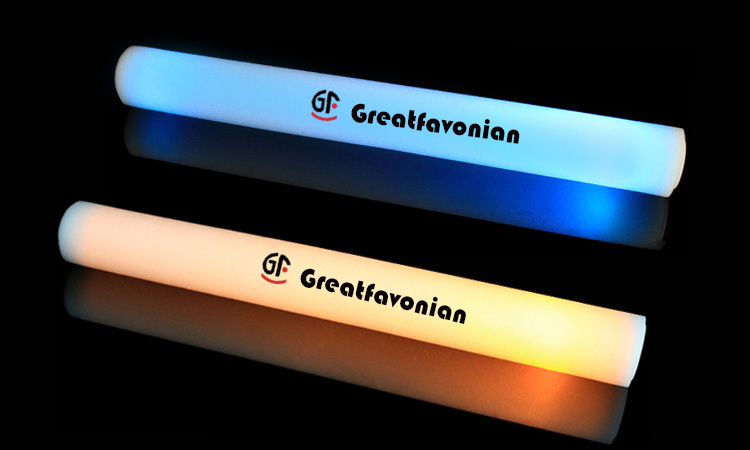 GFLAI Brand LED Lights Stick is available in single color and multi-color. For single color, there is 1 led light, 3 flash modes: fast flash, slow flash, static on. For multi-color, there are 6 group flash modes with RGB colors. This LED Lights Stick is operated by 3pcs AG13 batteries which could last for more than 8 hours, installed, replaceable. Please click to see more styles of GFLAI Brand LED Lights Stick, LED Glow Sticks: LED Lights Stick.